Damaged in an Accident? Hurt? Our respected advocates fight to win for those damaged or injured in motor vehicle collisions, accidents involving trucks, motorcycles, pedestrians, slip and falls, and on the job/work related injuries. Many will qualify to retain us on a percentage attorney fee, meaning that you only pay us when the lawsuit or claim is won! We Get the Best Results! 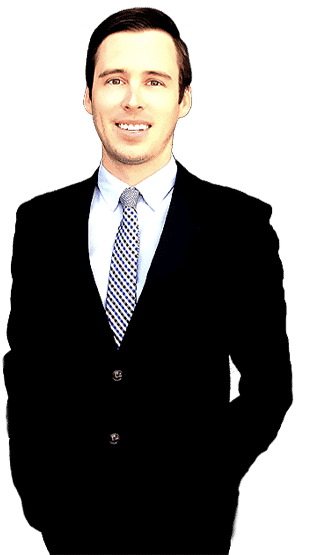 Ontario California Lawsuit Attorneys - Free Consultation! Our objective is to obtain the best legal results and to advise clients on the best and most effective decisions. When hired, we endeavor to solve your problems for you so that you can focus on injury recovery and the important things in life. Of the most essential points in life are health, family and finances. At Napolin Law APC, the aim is to furnish you with the needed legal devices to safeguard your health, family and financial resources after an injury, car accident, personal injury or workplace accident. It is a challenge to navigate the legal system, particularly when you are hurt. That's where we come in. We battle to ensure that the client has a complete understanding of their legal rights and then we pursue them to the fullest extent on their behalf. When you retain our Ontario law office, you put a strong legal advocate on your side that's willing to go the distance to attain justice. 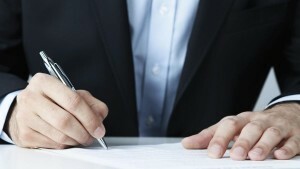 Making the Decision on a Law Firm in Ontario Ca. Choosing the right firm for an accident injury case can be difficult. The law firm selected will in all likelihood determine the future state of the victim's health and finances after a serious accident injury. That's why Napolin Law APC takes the unique approach of offering a free discussion with a personal injury attorney to discuss the issues and to offer relevant advice and answers, before being hired. Our lawyers are thoughtful and sensitive clinicians of law, offering wisdom towards the client's problems. Let us assist you through this time by offering you the tool of the law to get you through it. If you have questions, we have answers. Reach us today for a real conversation about what can be done to win your possible lawsuit. Napolin Law APC brings extensive litigation experience to the table. Consult with Mr. Napolin for free about your possible personal injury, car accident, or work injury claim. Our law office has significant experience with insurance claims and personal injury litigation. Serving Ontario California as well as surrounding cities. Upland, Rancho Cucamonga, Chino, Montclair, Claremont, Fontana, Eastvale, Rialto, Chino Hills, Colton, San Bernardino, Norco, Corona. Hire the Ontario Injury law office attorneys of Napolin Law APC. 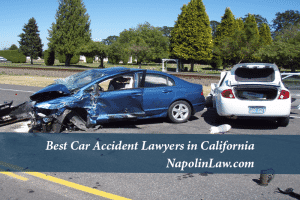 At Napolin Law APC we give complete attorney representation for car accidents, injury accidents, workers' compensation, motorcycle accidents, truck accidents, freeway collisions, job injuries, slip and falls, as well as personal injury legal claims. We will always provide you with a specific cost so you will know upfront what you will be paying for our legal services. It is vital that you quickly look for the insight as well as counsel of a well-informed and knowledgeable Ontario Ca. 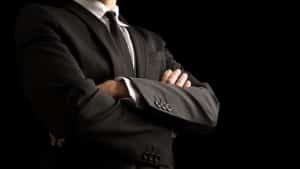 law attorney who will help you handle the insurance company and other parties. The Ontario Ca. Injury Law Firm Attorneys at Napolin Law. Injury law is an area of law that permits one that has actually been wrongfully hurt to seek to recover money for injuries received as a result of the fault of one or more individuals. This can consist of an automobile injury, an injury at a business or restaurant, or a defective product. A person can be deemed at fault based on violating an established law, such as laws in the Vehicle Code, or by whether such behavior was deemed to be unreasonable. 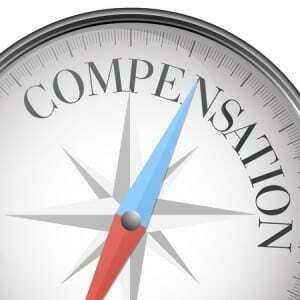 Injury law is developed to compensate the victim, with cash, for the losses they suffered as a result of the accident. The cash that can be recovered consists of items such as medical and ambulance bills, future health care, loss of job, damaged or destroyed property, failure to operate in the future as well as other items. Furthermore, there is additionally healing for what are regarded non economic problems, and these consist of pain as well as suffering, emotional distress, trouble, loss of pleasure of life, and also anxiety. Personal Injury law, additionally called tort law, is designed to shield you if you or your property is wounded or hurt because of someone else's act or failure to act. In an effective tort activity, the one that created the injury or harm compensates the one who suffered the losses. Personal injury litigation entails a large number of claims consisting of accidents, medical malpractice, product obligation, workplace injury, wrongful death, and more. 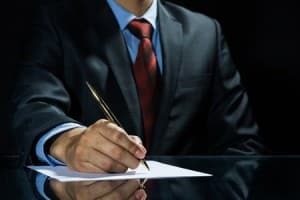 Our Law Offices prefer to commit most of our time and energy helping clients in court litigation within injury law, therefore ending up being much more skilled at taking care of really specific kinds of cases like, auto accidents, slip and falls, medical injuries, travel air and train accidents, and job accidents. Unlike various other categories of the law that discover their rules in statutes such as penal codes in criminal cases, the growth of injury law has actually occurred mainly through court decisions, and in writings created by legal scholars. California has actually taken steps to sum up the development of accident law in written statutes, but for practical purposes court decisions remain the main source of the law in any legal case arising from an accident or injury. Personal injury law really comes down to helping individuals as well as family members who've been impacted by an injury tragedy, along with holding responsible the negligent wrongs or errors endured by injured and affected individuals. 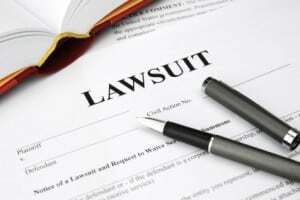 Personal injury law usually will involve a standard lawsuit and possible court trial. 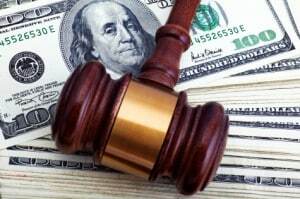 To assist you to establish the liability and damages or injuries of the client’s claim, lawyers always work with experts in several professions, such as mechanical technological innovation, incident accident reconstruction, financial recovery aspects, health care planning, vocational work counseling, as well as other facets of accidental injury treatment and medical care. Napolin Law legally represent those who have recently been seriously injured or lost someone you care about in all forms of accident and injuries cases, car accidents, dog attacks, product or service liability, faulty products and services, roll-overs, defective safety belts, motor bike accidental injuries, faulty vehicles along with wrongful deaths. A number of our many popular court cases consist of automobile crashes, bicycle injuries, slip and fall, pedestrian accidents, medical negligence, tragic accidental injuries, property injuries, construction injuries, plus defective products and services. If you've been injured within a vehicle or even a serious vehicle collision accident, take the time to Call our law office immediately. Through the years, we've developed the resources we need to exhaustively investigate each of our clients’ personal injury, wrongful deaths and product or service issue lawsuits, and reach the absolute best outcome when it comes to each of our clients. We legally represent a number of victims associated with vehicle accidental injuries, regardless of whether they involve a couple of motor vehicles, 18 wheel trucks, or possibly pedestrians. Napolin Law is well-known and revered with a lengthy history of results, fighting big insurance agencies, well-financed business enterprise and single defendants. We provide a personalized strategy to personal injury law using experience along with legal expertise to locate the details which encompass the clients’ cases. Legal professionals help seriously injured individuals find compensation from individuals who have harmed them. For those who have a significant accident injury, our Personal Injury Law firm in Ontario can easily help answer all your questions related to health care payments, lost income, property or home damage along with other demanding concerns. When individuals pursue the legal representation from a personal injury lawyer the reason usually is a personal injury which was the end result of somebody else’s neglectfulness has resulted in an accidental injury in some capacity, whether it's mentally or physically, psychologically or mentally. There are a lot of reasons to get a personal injury attorney, however one of the greatest reasons is the fact that personal injury attorneys tend to be professionals with negotiation. An accidental injury law firm will assist you through the entire legal system, function as an individual's advocate, and ensure that your particular claim is provided complete consideration. Car accidents are becoming more of daily scene on the many highways and freeways in the Inland Empire, San Bernardino and Riverside counties. From the 10 freeway, 15 freeway, 210 freeway, 91 freeway, 215 freeway and the 71 freeway. Occasionally accidents create tiny problems to the automobiles entailed. Various other car accidents are a great deal a lot more severe, leading to major damages, vital injuries, and even fatality. It is essential that you understand simply exactly what to do if you are a party to a car accident. Stop at or as near the scene of the accident as possible. Make certain you are in a protected location.Remain tranquility. If you are harmed, do go stale. This can activate much more injury. Do not admit fault to any type of individual. Call the police. If you are related to a car accident that results in accident or substantial building damage, you are asked for to report the incident to the authorities and Department of Motor Vehicles. Call a person you recognize and also protect the scene. Having a person there to record the scene is necessary. Obtain vital information from various other included drivers. Record or take images of motorist's licenses, license plate numbers, insurance protection details. In addition obtain visit details from any type of witnesses. Take pictures or video clip of the accident scene. Take photos of the scene including spots, office property injury, and all autos involved. Seek Medical Attention. You might not think that you are wounded, however, injuries from car accidents can take days or weeks to produce physical symptoms. Failing to timely seek health care could have a damaging impact on any type of financial recovery that you can look for. Immediately report the car accident to all insurance policy firms. Do not look at the information of the accident or injuries with insurance policy coverage firms. They will likely attempt to utilize the announcements against you. A car accident can ravage your wellness, earning possible and also future. And with car accidents as well as medical costs on the rise, it's more vital compared to ever to look for an effective, aggressive Ontario car accident lawyer to manage your accident claim-- as quickly as you can. You also need to make certain you choose an individual you count on and also feel excellent about. There are a number of actions that you would be well advised to take in the consequences of a car accident in order to protect your legal rights. Obtain instant medical attention. If you could not move after the accident, wait till emergency employees arrive. Some accident injuries might not appear as soon as possible. Nevertheless, it is most ideal to see your healthcare carrier to make certain that you have actually not been harmed. See to it that you file a police credit record. This will certainly aid document the incident and at a later point help identify fault.Gather as much information as possible from the accident scene. If you are able, you must take images of the accident scene including the placement of the automobiles, certificate plates as well as injuries endured in the accident. Exchange contact and insurance coverage info with the other celebrations. Do not talk to insurance policy companies' agents without initial consulting a Ontario accident lawyer. Insurance policy companies are typically interested to reduce the worth of your case or make it go away. Exactly what you tell them could and also most likely will be made use of against you. This can be a major obstacle in a vehicle accident also in cases where the realities could seem "noticeable." A number of car accidents happen as the outcome of a motorist's negligence, which indicates that the vehicle driver was running the automobile in a negligent or harmful way. Motorists are required under the law to utilize "practical care" while running an automobile. Examples of negligent driving include driving while reduced sidetracked or worn down; breaching the customary practices such as running a traffic signal or a quit indication; as well as driving over the rate limitation. In a car accident case, nevertheless, the burden of confirming negligence rests on the complainants. Automobile accident lawyers have numerous means of proving liability. They might count on authorities records, eyewitnesses, evidence gathered from the automobile, paramedics' and also medical professionals' files as well as video footage from red light cameras or monitoring cameras that check roads and also cross-ways. Complainants' attorneys could likewise get in touch with specialist witnesses that can help discretionary better understand the facts of the case. It is crucial in all car accident cases to protect the automobile so it can be examined by a specialist for evidence. In most car accident cases, the automobile is one of the most vital piece of proof. Destroying or fixing the automobile too soon might show to be a costly error. You will need a Ontario automobile accident lawyer to represent you in your lawsuit because insurance companies are not likely to just hand you the quantity you are worthy of. Naturally, their major goal is to optimize their earnings. This implies they have a reward to pay you as little as possible and also get you to authorize an obligation launch type, which will prevent you from further recuperation. Nonetheless, the little quantities that these companies supply are rarely sufficient to cover your medical bills, not to mention other financial damages such as shed salaries as well as discomfort & suffering. For that reason, employing a knowledgeable attorney that concentrates on website traffic accidents is your finest choice. We are experienced in litigating all kinds of traffic accidents, consisting of auto, truck, as well as bike accidents. Legally speaking, there are some distinctions between these cases. In need of a Pomona, Ontario, Rialto, San Bernardino, Riverside, Upland, Rancho Cucamonga, Fontana, Ontario, La Verne, Chino, Corona, Ontario, Covina, Azusa, Duarte, Pasadena, West Covina, Colton, San Dimas, Monrovia, Chino Hills, Montclair, Redlands California Personal Injury Auto Accident Lawyer, call Napolin Law at all: (909) 962-8415 or fill out a case evaluation form at www.NapolinLaw.com. Workers' compensation is a no-fault insurance policy plan, which means seriously injured employees as well as family members won't be able to file a lawsuit against their workplace with regards to negligence. A professional workers’ compensation legal professional will attempt to work together with your workplace as well as their insurance provider to offer you your workers’ injury compensation. In some cases, a company might not be looking to provide the levels of injury compensation you'll need for one's accidental injuries. 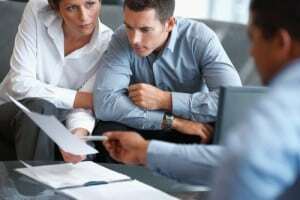 There are numerous ways in which an insurance provider may possibly try to keep clear of having to pay the entire amount to take care of your current losses and even prevent compensating you benefits. Because of this, companies cannot try to place fault on employees for any work injuries as a method to try to reject or even restrict your payment of benefits. Whenever claiming for Workers’ Injury compensation benefits, you and your workplace have got particular obligations. Workmans Compensation is definitely an insurance policy plan set up through the government in order to medically deal with as well as monetarily compensate laborers who've been seriously injured at work. Workers' compensation is really a state-mandated insurance plan process that gives injury compensation to help workers who are suffering job-related accidental injuries as well as health issues. In some cases, victims of job injuries have to deal with the bullying or even resistance from their own employers or even the insurance provider, and we'll be right here if the appeal is required as well as to prevent any kind of difficulties which present itself. Employees seriously injured at work are often limited to recuperating for their accidental injuries with the workers’ compensation program. Along with warehouse and construction accidents and injuries rising, California is actually experiencing a growing issue with regards to ware house and construction laborers having a dangerous run-in with chemical compounds that may injure, damage, debilitate, or possibly death may occur. You need to do your very best to keep protected during the job, however accidental injuries can occasionally take place. Anxiety, stress and job related back, arm and shoulder injuries are well-known issues at the workplace. 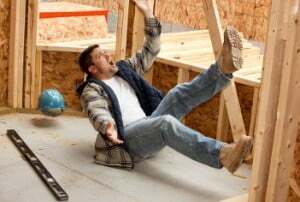 Work related accidents can produce numerous difficulties for employees and their very own families, workers' comp. health benefits are very important. Our legal professionals have overcome numerous components of workers comp insurance claims, which usually come from motor vehicle collisions, slip and falls, burns, forklift accident injuries and various work place accidents leading to injuries or even health issues. Workers’ compensation insurance coverage is designed to supply healthcare benefits, replacing wages, plus more for workers who are suffering job related health problems, injuries, or any other medical concerns. Question: What kind of work injuries qualify? Specific injury. Specific injuries are injuries which result from a specific incident or occurrence. Examples: picking up a heavy box and injuring your back; driving a vehicle (car or truck) at work and getting in an accident that causes injury (you may also have a personal injury claim in this type of accident); slipping on a wet floor and hurting your hip and back, etc. Cumulative or Continuous Trauma. This type of injury results from daily work activities that, over time, result in injury to a worker. Examples: truck driver who loads and unloads his truck over a period of time, causing back injury that hurts as he continues the daily job; a secretary who develops carpal tunnel from continuous computer use; TV salesman who hurts his back from repetitive lifting of televisions; stress disorders, etc. Aggravation of Old Injury. This is a situation where a worker has a pre-existing condition which does not prevent working, but, as a result of a specific incident at work or continuous aggravation of that condition, the worker now requires medical treatment and time off. Example: had chiropractic treatment for a back problem years ago; now need medical treatment, maybe even surgery. This “aggravation” may qualify under workers’ compensation rules. 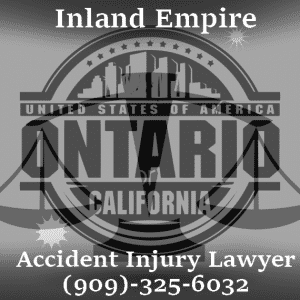 Injured on the Job in Ontario California? When injured or ill, an employee has the right to be examined by their own physician in some circumstances. To be examined by their own physician is only a right for the employee if they are covered by group medical coverage, and if they are allowed to pre select their physician before their health is called into question. If a worker’s compensation board looks at an injury or illness and determines that the employee was not hurt and did not become ill on the job, there is an appeal process for the employee. If the initial determination is that the claim should not be covered by the employer, the first appeal will go to the worker’s compensation department at the state level where an administrative law judge will evaluate the case. If the judge doesn’t find that the responsibility lies with the employer, the injured or ill party can appeal to a review panel. If the review panel also determines the employer is not at fault, the case can be appealed to the state court. 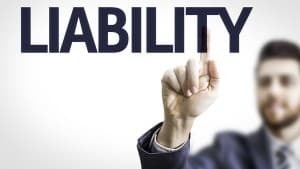 The best thing an employee who believes their injury or illness is caused by negligence on the part of their employer can do is have legal counsel on hand to protect the worker’s rights and to ensure a cogent and prepared case for the person bringing suit. Legal counsel can help to ensure that the best interests of the employee are protected, and this person will work to see that the employee is able to maximize the payout they receive from their case. Some employers have physician information included in the forms a new employee fills out. If so, an employee may be able to go to their own doctor if they are injured on the job. If this is possible, it must be the doctor designated on the employment paperwork, and not a specialist or a different doctor other than the one previously presented. If a doctor was not pre-designated, then the employee will probably have to see a worker’s compensation doctor the insurance company or the employer recommend, or at least a doctor within the company’s network. Employers are required to have worker’s compensation insurance coverage of some sort, either through the state or via a self-insured plan. If an employer doesn’t have this coverage, an injured employee has the right to sue their employer in civil court for medical costs and lost wages, as well as pain and suffering. 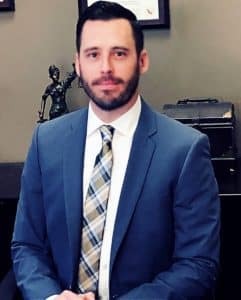 Regardless of what worries you have to deal with, if you've been seriously injured at the workplace, you need to discuss your circumstance with an knowledgeable Ontario California workers compensation legal professional like Alexander Napolin. Once you simply call Mr. Napolin at 909-962-8415, he will consult with you free of charge regarding your special legal issue immediately. Ontario California Work Injury Attorney - Please do not just get any lawyer or comp. lawyer that may possibly act as an advisor to assist their client as the most cost effective strategy to handle each and every stage with the courts. This really is, extremely important for any seriously injured worker to speak with an experienced workers’ compensation law firm immediately. Get the help you need by hiring a the Napolin Law, you can receive Compensation Benefits by Choosing the right law firm that looks out for your best interests today. If you, a family member or friend have any injury related legal issues please contact our law offices. Call Now: 1 (844) 984-HURT - We are available!